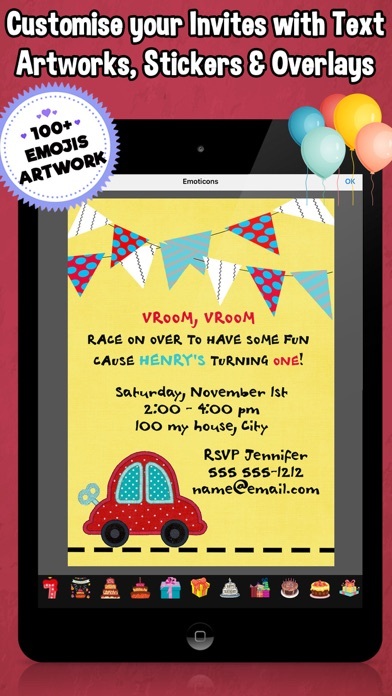 Create your own kids birthday party invitations.. Save, Send, Share or get printed. 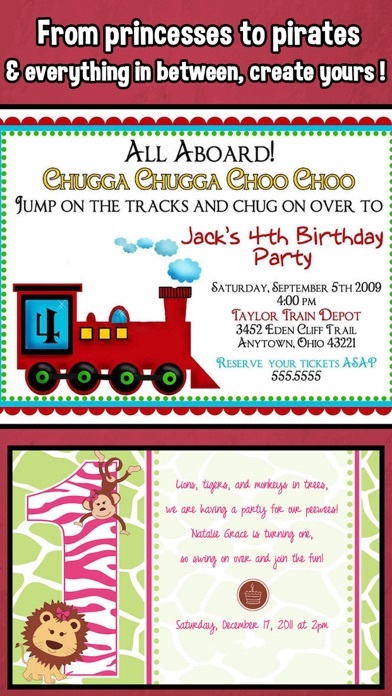 Send some of the best kids birthday party invitation to invite people on your child's B'day party. Festive kids' birthday invitations for boys and girls. 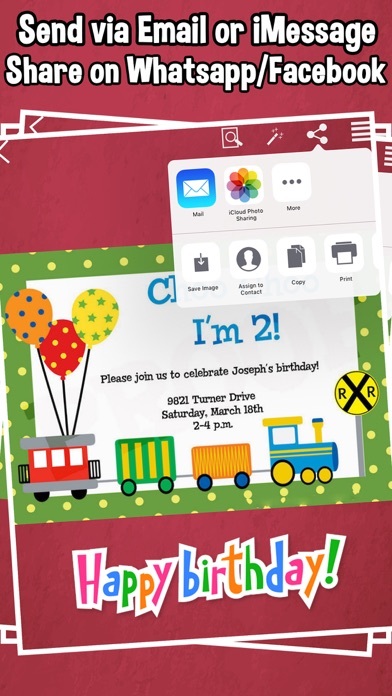 Invite as many children as you want to a birthday party with virtually any theme or design you can think of. 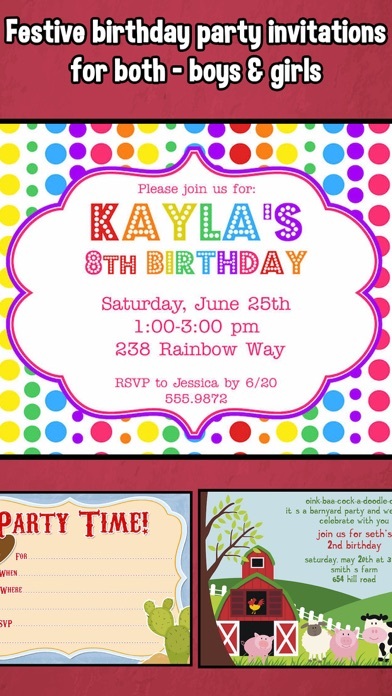 Kids' Birthday Invitations - Occurring every 365 days a year, kids' birthdays are the perfect time to create a unique cue designed birthday Invitation.. Our kids birthday invitations feature colorful fun designs and colors. 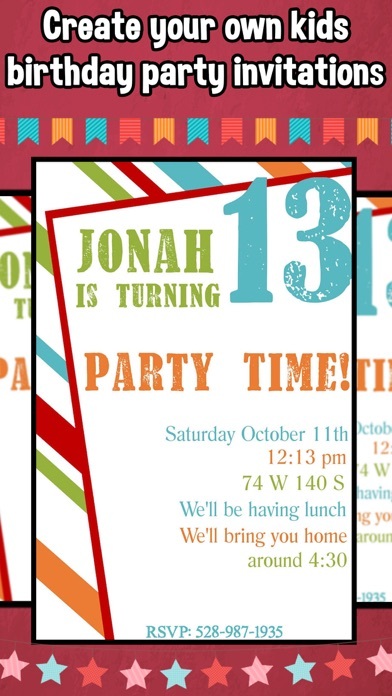 Easily create custom kids birthday party invitations to celebrate your child's special day.